This is a tutorial to help you set up Socks5 proxy on Vuze client. 2. Click on Tools and then press Options. 3. 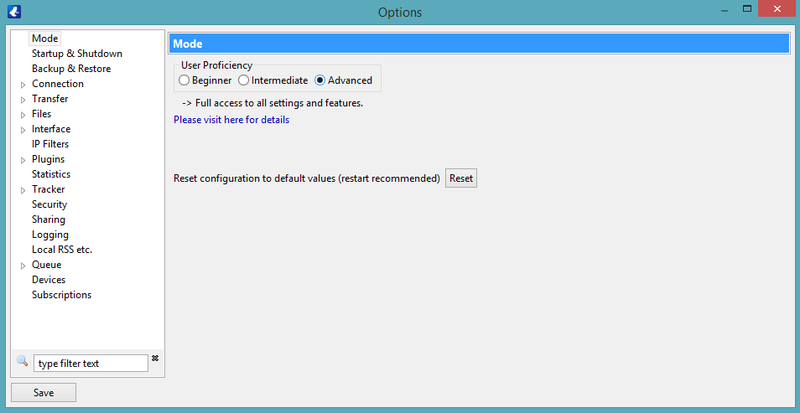 In the Mode section switch the User Proficiency from Beginner to Advanced. 4. Now go to Connection. Note: If you are planning to use Socks5 proxy for privacy purposes then you have to disable features that would otherwise allow your public IP address to leak and for other peers to connect directly to you. In the Peer Sources section deselect everything apart from the first one From a tracker. 5. Expand the Connection section to see more options. This can be done simply by double-clicking on the Connection. 7. In the Tracker Communications section check the following boxes: Enable proxying of tracker communications [restart required] and I have a SOCKS proxy. 8. For Host enter one of VPNExpress ’s servers addresses, which allows P2P traffic. Here is a list of countries that allow using P2P – Romania, Russia, Sweden, Lithuania, Netherlands, Canada, South Africa. You can freely choose one of the servers from those countries. The full server list with all server addresses can be found at: VPNExpress Server List. 9. For Port enter 1080. 10. Type in your VPNExpress Username and Password in the authentication fields and press Test SOCKS. 11. 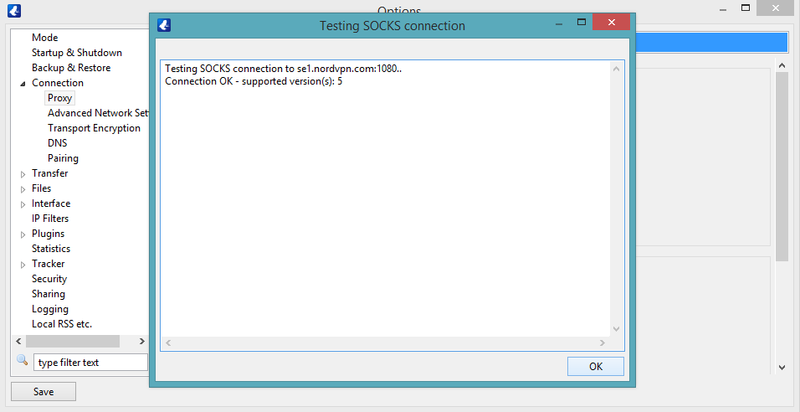 A new window Testing SOCKS connection will pop up. It will give you the following result: Connection OK – staticed version(s): 5. Press OK.
12. After the successful testing press Save. 13. Close the Options menu and restart Vuze. After that, once you open Vuze, in the Status bar Socks should appear with a green indicator, which means that Socks5 is working perfectly. Voila! You have just set up Socks5 proxy on Vuze.